North East Independent School District Trustees voted Dec. 7, 2015 to keep the name of Robert E. Lee High School, five months after a student petitioned to change the name and gathered signatures of support from 11,000 people, including her Congressman and city councilman. The 5-2 vote to keep the name came after trustees publicly discussed their views for the first time, with District 2 Trustee Edd White, the board's only African American, revealing that the Confederate general's name on the school "has always been offensive to me as an African American." He was joined in dissenting from the majority by District 4 Trustee Jim Wheat, who unsuccessfully urged his colleagues to set up a process to survey the opinions of students and staff who have been barred from discussing the issue. Senior Kayla Wilson started a petition to rename Lee high school in July after seeing the suggestion on former San Antonio Mayor Julian Castro's Facebook page in June. Here is a link to Kayla Wilson's petition to rename Lee and her conversation with District 1 Councilman Roberto Treviño whose district includes the school: http://nowcastsa.com/blogs/petition-rename-san-antonios-robert-e-lee-high-school. Starting in August, Kayla came to each monthly board meeting urging a discussion on the topic. The board members listened to her and dozens of others others who supported and opposed renaming the school. 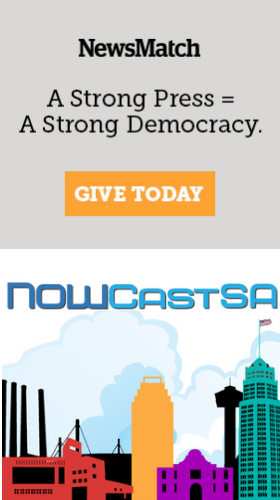 In a move criticized by the American Civil Liberties Union, the board banned students and staff from discussing Lee (more on that in this story: http://nowcastsa.com/blogs/aclu-school-district-unmuzzle-teachers-and-staff). At the conclusion of the October meeting, the board agreed to examine the process used by other districts and asked staff to make a presentation in November (more on that in this story: http://nowcastsa.com/blogs/north-east-school-board-will-look-ways-change-name-robert-e-lee-high-school). This video from Black Video Network includes more background: https://youtu.be/w8oQi1FOCeg. Special Board Meeting -December 07, 2015 from North East Media Production on Vimeo. During the discussion, some board members said they concluded Lee's name should stay on the school, after reading hundreds of emails from members of the community, having conversations with residents and doing their own research including reading biographies of Lee. Wheat proposed that the board collect more data, reasoning that other schools from Houston to University of Texas and Princeton University "have found a way to bring everybody to the table and follow a process," for discussing Confederate symbols, statues and names. "We shouldn't just jump into this decision just to get it out of the way," Wheat said. "If we haven't gotten the opinion of the students and staff at Lee, then we haven't done enough." White supported Wheat's motion, but after the proposal failed by a 5-2 vote, White proposed a motion to change the school's name. White said he and other African Americans found Lee's name on the school offensive because "as commander of the Confederate Army during the Civil War, he was fighting to maintain slavery." He quoted the Book of Ecclesiates from the Old Testament of the Bible: " 'To everything there is a season ... a time to keep and a time to cast away.' From my perspective, it is time to change the name of Robert E. Lee High School," White said. White's motion, which was supported by Wheat, was opposed by President and District 6 Trustee Letti Bresnahan; Vice President and District 5 Trustee Shannon Grona; Secretary and District 1 Trustee Sandy Hughey; District 7 Trustee Brigitte Perkins; and District 3 Trustee Sandi Wolff.